Hi all! Happy Hump Day! This is my hubby and girls favorite day of the week thanks to that camel commercial...they go around all evening with the whole " What day is it?" "Huuummmppp Day" lol. Anyways, on to the project! 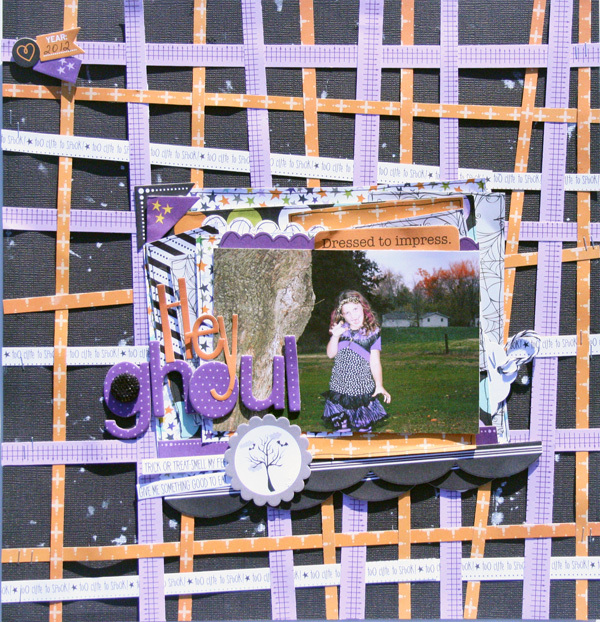 I have a Halloween layout to share today! I really wanted to give my messy weaving technique a try on a larger scale. I LOVE how it turned out! I will definitely be doing this again!